Richard Garlington did not like the boats available at the time in the early eighties, so he decided to build his own. He asked long time friend Dan McCarthy, a famous United States Navy submarine-designer during the sixties and seventies, to draw a soft riding hull with a running surface that could take heavy seas while maintaining great tractability and comfort. When Garlington started the company, he built clean, sharp-looking boats, designed to catch fish and run in rough seas without compromise. Since the Landeweer family purchased the company, it's upheld the quality and integrity of the custom boats, building beautiful sport-fishers that perform and meet the discerning needs of their owners. The broad based history and experience of our yard is reflected in the level of excellence we maintain from conception to completion of each custom sport fish. It is our firm belief that the pride we put into manufacturing will be reflected in the pride and pleasure of ownership. Although copies of our original lines can often be be seen on other vessels, to copy the ride quality and sea capability of our renowned hulls is another matter entirely. Don’t just take our word for it, ask those who know. Many might believe that a custom yacht is out of reach financially. But in reality by taking this approach an owner gets everything he wants and nothing he doesn’t; the dollars put toward the build are specifically targeted. We constantly strive for excellence and complete every project with the pride it deserves. Our team receives personal satisfaction from knowing that their efforts lead to a finished product we all can be proud of. From the graceful sweep of their sheer a Garlington is instantly recognized as the vessel by which others are judged. Classic and elegant exteriors, matched to contemporary interiors along with a state of the art machinery package, this is the ethos of all Garlingtons. All Garlingtons are built using cored composite construction. The advantages of cored hulls and superstructures are well known, but in addition to creating a lighter stiffer package the use of this construction method provides a quiet soft riding hull with great impact resistance. 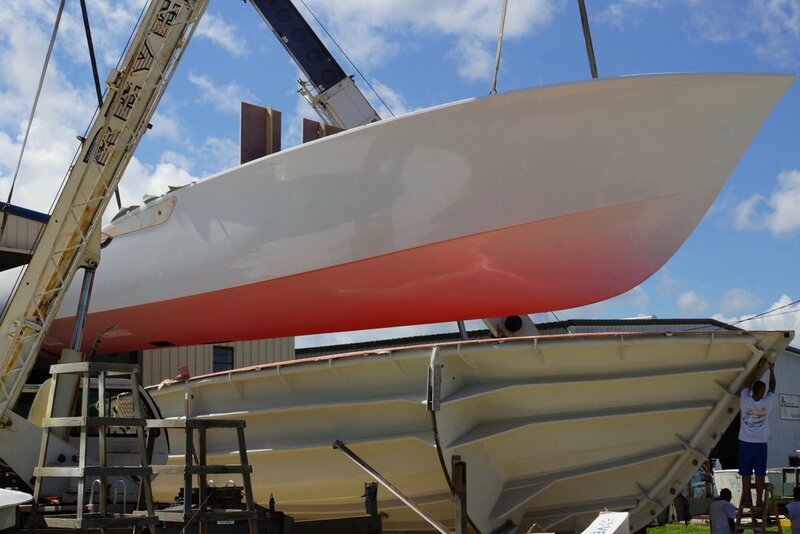 Our hulls are lighter and stiffer, thus allowing for greater performance.